Perched atop The Water Club on the East River of Manhattan lies the perfect place for outdoor drinking and dining and it’s totally worth checking out, its called The Crow’s Nest. While The Water Club is a fancy schmancy white table cloth restaurant, The Crows Nest has a casual laid back vibe with terrific drinks and a small but delicious food menu, plus you get the same sweeping river views. 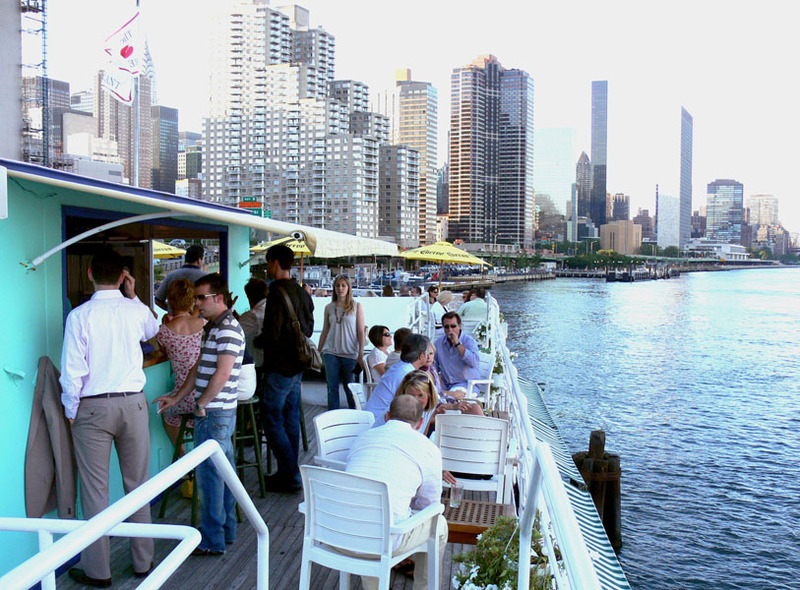 While many of Manhattan’s best outdoor spots get super crazy and crowded in the summer, somehow The Crow’s Nest manages to escape much of the outdoor party crowd chaos. Perhaps it’s because you have to cross the FDR and walk a block or two down the East River bike path to reach it. Perhaps it’s because you still have to walk through a fancy restaurant to get to this spectacular urban oasis. Or perhaps the size of the space keeps the crowd manageable. 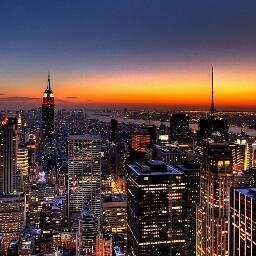 All I know is that the music is great, the atmosphere is lively and the views are breathtaking. On my particular visit a couple weekends ago, I met a few friends and sat at a little table looking out over Brooklyn and LIC. We soaked up the sunshine while catching up on conversation and sipping on a variety of summer cocktails. My favorite was the vodka spiked watermelon lemonade and my friends seemed to really enjoy the frozen Pina Coladas. As for snacks, you can’t go wrong with oyster selection or the cheeseburger sliders. 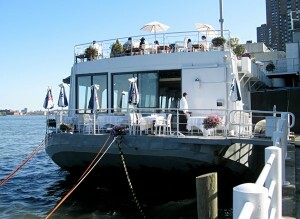 If you’re into D-List celebrity sighting, we also caught great views of Dina Manzo from Real Housewives of New Jersey. 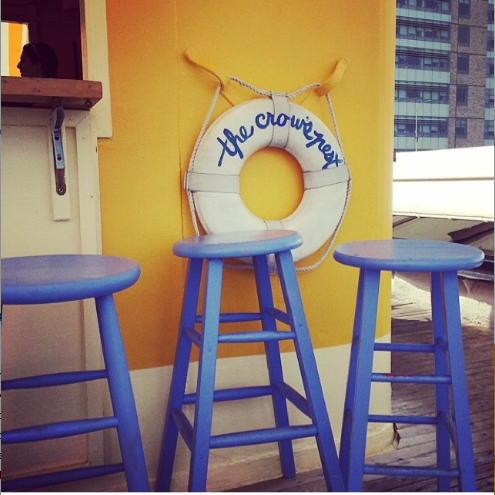 The Crow’s Nest is seasonal and open from mid-May through late September. This entry was posted on Tuesday, July 8th, 2014 at 8:26 am and is filed under Bars, Food, Other Musings..., Public Relations, Reviews. You can follow any responses to this entry through the RSS 2.0 feed. Both comments and pings are currently closed.